Are you different from your spouse? My wife Susan and I are opposites and it can be a point of contention. I often crave the marriage compatibility I observe in other couples. If you are like us, it’s easy to feel frustrated and want your spouse to be more like you. However, that might defeat the point of two people coming together in marriage as one. In this video, Susan and I share just how opposite we are. 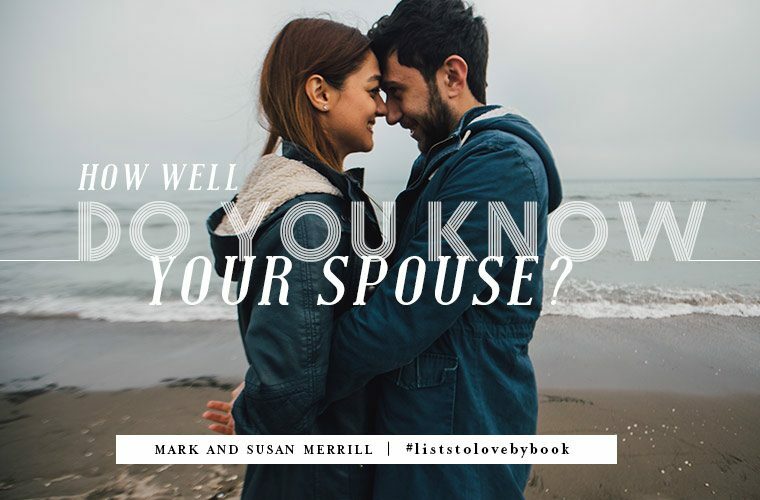 In the beginning of our marriage we viewed our differences as a liability, but after twenty-seven years of marriage (and sharing every lesson we had to learn in our two new marriage books Lists to Love By for Busy Wives and Lists to Love By for Busy Husbands), we now see them as assets and laugh at them. You can learn to laugh at and celebrate your differences too. Play the newlywed game.